It's a sparse month for finishes...but ANY finish is better than no finish. 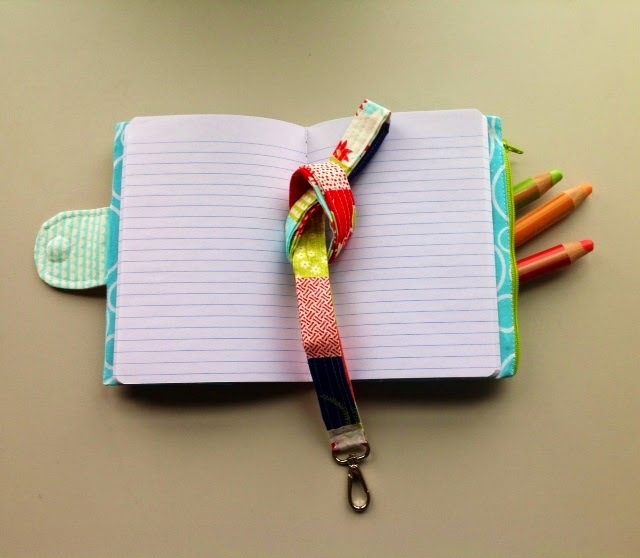 How are ya'll doing on your 2015 sewing goals? I'm in the hole for mine, but I'm hoping to do better. I always feeling like I just need a rest in January. It makes me that much happier to start up projects in February. Don't forget to link up YOUR FINISH at the bottom of this post and share our button on your own blog. Thanks! 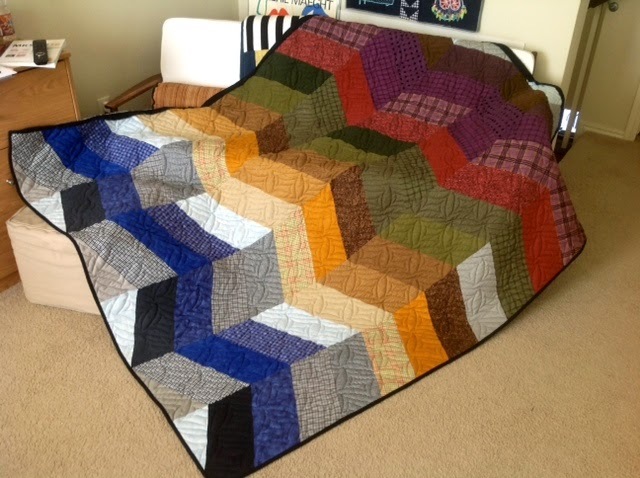 Agnes S. made a New Year's resolution to finish at least one UFO and/or quilt a month in 2015! And it looks like she is off to a good start! 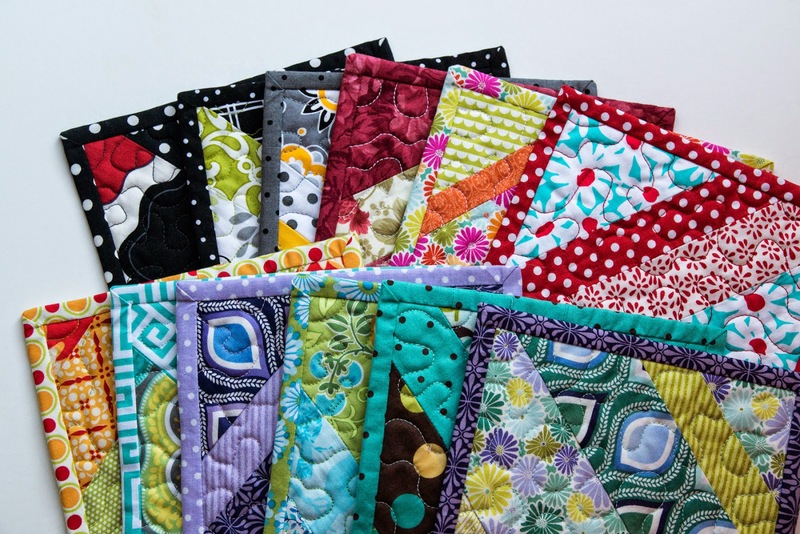 This flannel cozy quilt has washable wool batting, and is in fact a late Christmas present. Agnes' daughter spotted it on Apartmenttherapy.com and while there was no pattern, Agnes figured it out. The gorgeous quilting by our own Jana Hernandez of Peace by Piece Quilting was completed extra fast and the recipients are already enjoying it in D.C., where it is considerably colder than Oklahoma! And Agnes' version is spot on! It looks so warm and cozy! 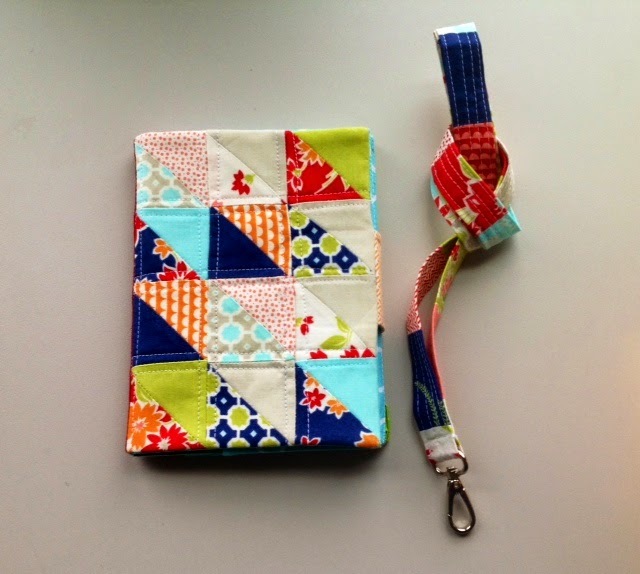 Agnes also completed a small project: a zipper pocket mini notebook cover, along with the lanyard she made for her "QuiltCon lanyard swap" partner in Australia - hope she wears it at QuiltCon 2015! Brigette W. made a couple of cute pillows! She bought some 18” pillow forms late last year when they were on sale and wanted to try to make envelope type covers. The first one is made from Dr Seuss spotty (almost dotty!) fabric and was very easy to make. 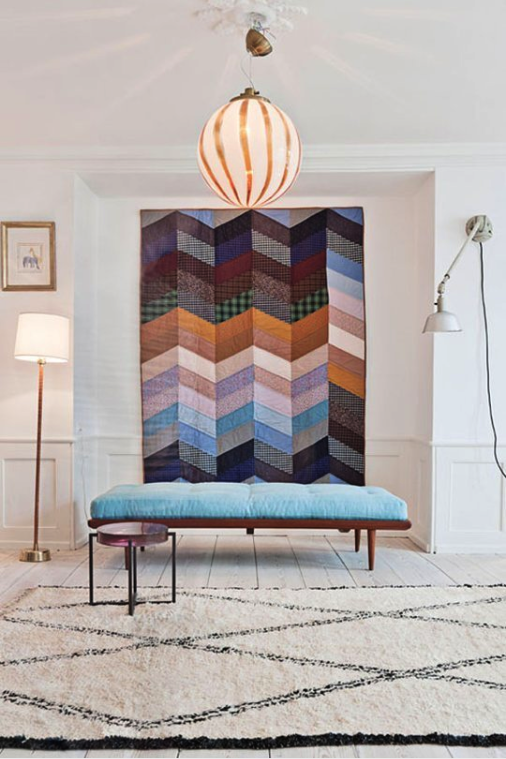 To make the other, she cut squares, pieced them together, and quilted into a small quilt. It took much longer than the first and I should have probably adjusted the measurements to be a bit bigger to allow for the batting, etc, but it turned out OK. I had to really work to get the pillow form into it…lol…. 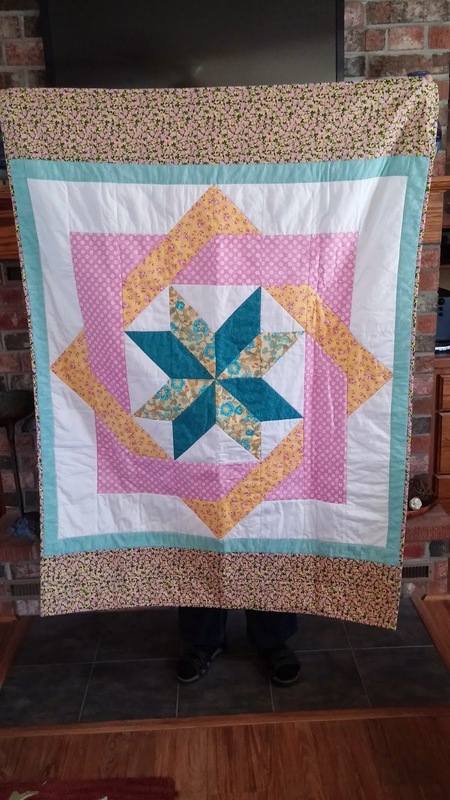 Celeste S. completed this darling quilt. The pattern is by Debbie Maddy. Her patterns look difficult, but aren't. There are no y-seams! There are a whole bunch of half-square triangles. Knowing I had to write this blog post, I took some time to (finally!) finish up numbers 11 and 12 of my Christmas gift mug rugs. Yes, that's Christmas 2014. They are for the women on my floor at the office and I think they have become Valentine gifts! I really like the one with the hot pink flowers on the binding for myself, so I guess that means I have one more to make...(shrug). Now it's YOUR TURN. Link up you January finish below!